Heals and seals your gut helping to eliminate and prevent leaky gut. Protects your joints with glucosamine. Helps you to look younger with renewed skin, hair and nails. Provides immune support because of the high concentration of minerals. Helps build your bones with high levels of phosphorus, magnesium and calcium. 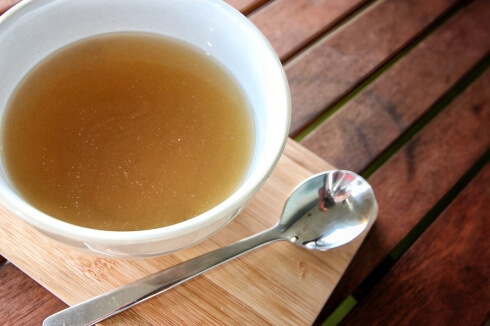 What exactly is bone broth? How is it different from stock? Well, bone broth is made from mainly bones with a little meat or vegetables, and stock is made from meat and vegetables with, perhaps, a small bone. Go to your local meat market or grocer and ask for grass fed beef or bison bones. Place your bones in a large pot, and cover in filtered water. Add some vinegar, wine, or a bit of tomato paste to extract nutrients from the bones and help them to dissolve. Cook over low heat for 48-72 hours. You may need to watch the pot and add water if it boils down too much. And, note that you can also use chicken or turkey bones. The bones will become soft and begin to break down. Now, you have broth…enjoy your hearty, healing drink!